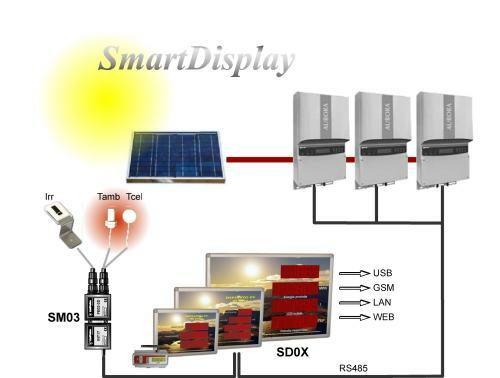 The display units belonging to the SmartDisplay family are characterized by having in a single product all the functions required for the supervision of a photovoltaic plant. 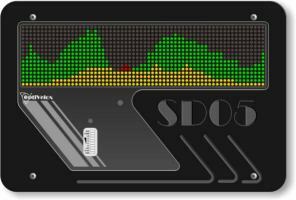 In the case where it is not required displaying giant digits you can use the SD03 model with similar specifications but suitable for mounting on DIN rail and with a small LCD display. 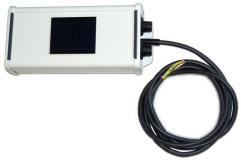 For residential applications is now available the SD05 unit, characterized by a dual mode display (text and graphic). 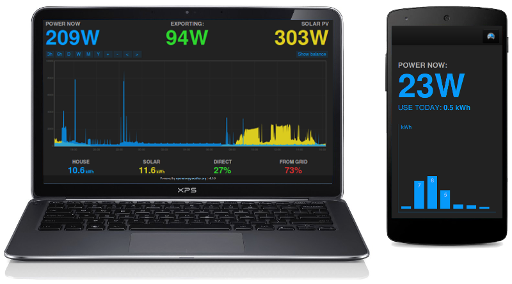 The graphic mode allows you to have an immediate feedback on the production and consumption of energy; which allows to optimize the temporal distribution of grid loads and save on electricity bills. The contents of the internal memory of each SmartDisplay device can be consulted at any time through the provided Dataget program. 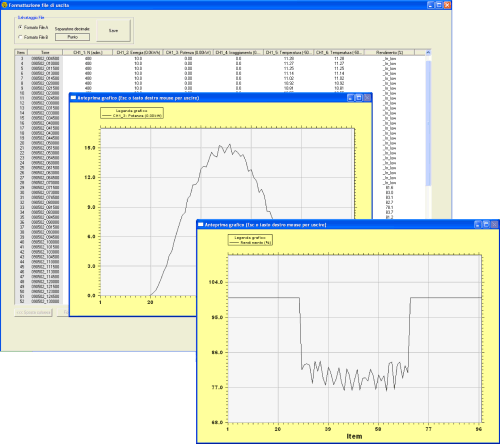 The program allows you to quickly and easily display the data in graphical form or save them to a file for later analysis. The devices equipped with the WEB option have within them a built-in WEB server; with a link on the local network or on the Internet, a SmartDisplay becomes accessible from any standard browser (Firefox, Internet Explorer, Opera etc.). You can display in this way the main operating parameters of the system in real time, the history of the last days, some alarm status and possibly interact with the system. SmartDisplay products can be connected directly to Power-One Aurora inverters and have been tested and approved by Power-One. 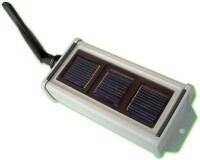 SM06 is a device developed to help you make the most of your solar generation. Just connect it to your system and you will be able to publish real-time and historic information of your system in the cloud. 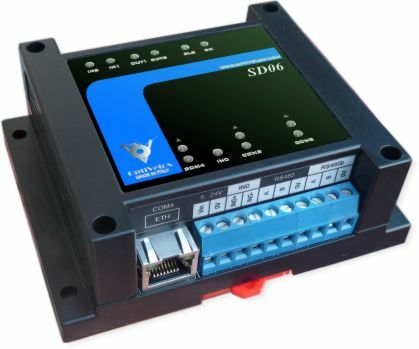 SD06 can also manage alarm signals and send automatic emails or notifications to your smartphone. 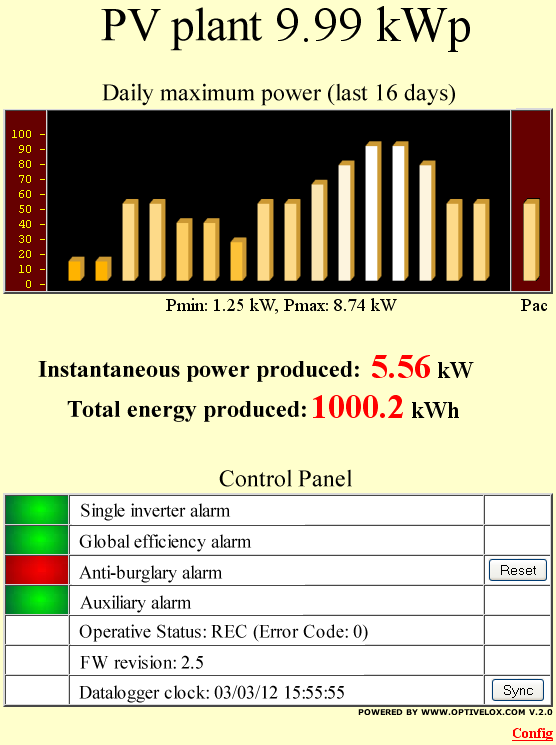 SD06 is fully compatible with Emoncms, a powerful open-source web-app for processing, logging and visualising energy data (here you can see a running example). A SmartDisplay can receive meteo data directly from a SM02 unit and using the real irradiance value it can calculate and display the overall performance of the PV system in real time. The meteo station is available with wireless connection. The wireless version is capable of self-sustaining from the sun and can transmit measured data up to 1300 m in open field. Similarly to SM03 devices also the new meteo station SM04 can be connected directly via RS485 to a SmartDisplay unit, in addition to offering new features such as a version with 0...10V analog outputs and wide range power supply (up to 24V) for general purpose monitoring. 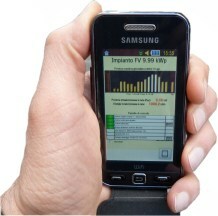 Also the electrical data (power and energy) can be transmitted to a SmartDisplay wirelessly. In this case it is necessary the interface device INT15. The device is able to read the data from the inverters via serial or via pulse signal S0 or, via a suitable photosensor, directly from the production energy meter. 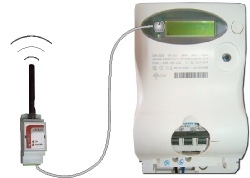 For residential applications the electric power can be easily measured by the interface device INT20 and then transmitted wirelessly to a SmartDisplay unit. Thanks to the interface device INT16, a SmartDisplay can operate for several hours even in the absence of mains voltage (UPS function) and is able to sent SMS alarms in case of blackout or any tampering of the system (anti-burglary). The same interface also offers additional 8 photo-isolated inputs to monitor the status of inverters or other auxiliary components of the PV plant. 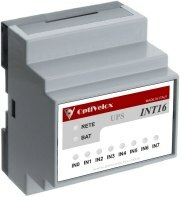 More INT16 devices can be cascaded if you want to control a greater number of inputs. The INT16 interface is available both for DIN rail mounting and in OEM version to be integrated directly into the display enclosure (models SD01/SD02/SD04). SmartDisplay products allow to keep under control the actual output of the photovoltaic plant via Wi-Fi with a PC or directly with your mobile phone. 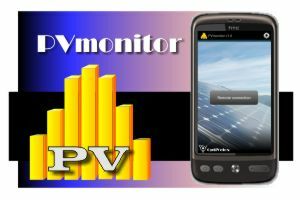 Download the free app PVmonitor for Android, just a simple touch and you can monitor all your PV sytems!